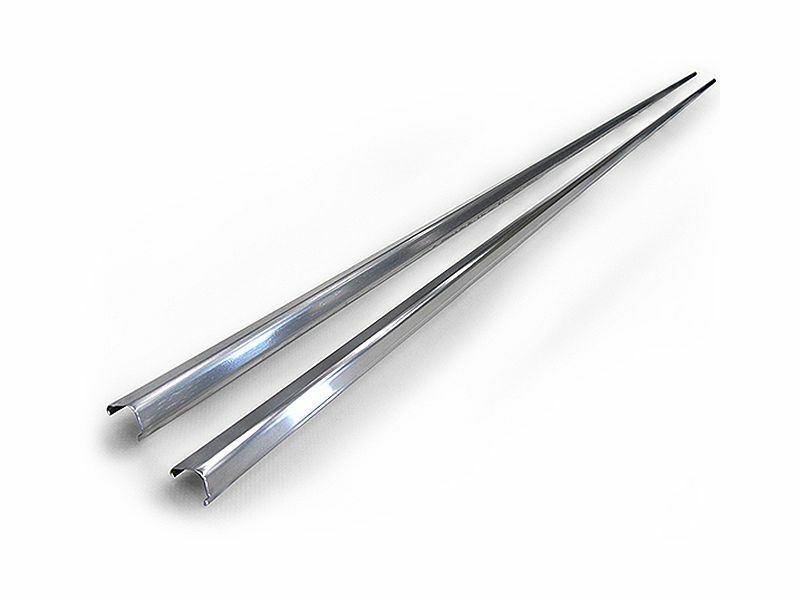 AMP Research PowerStep stainless steel trim strips are constructed out of polished stainless steel. They are great accessory for those who already have the AMP PowerStep running boards. The AMP Research PowerStep stainless steel trim strips will add the ultimate touch of luxury to your truck or SUV; the polished stainless steel trim will accentuate the powder-coat black look of your new running boards. Installing the AMP Research PowerStep stainless steel trim strips is easy, only requiring basic house hold tool on most installs. Should only take about an hour for you to install and be down the road with your new dazzling running boards with stainless steel trim. So if you are looking for an easy upgrade to your AMP Research PowerStep then the stainless steel trim strips are for you, made right here in the USA out of the highest grade stainless steel. So get your AMP Research PowerStep stainless steel trim strips order today! Installing the AMP Research PowerStep stainless steel trim strips is easy. This install should only take about one hour, if you need any assistants please give us a call.